After three days of travel, and conducting many experiments, the crew of Apollo 17 performs lunar orbit insertion maneuvers that place them firmly in orbit around the moon as they prepare for the last lunar landing of the Apollo program. The crew also conducts lunar orbit photography and observation activities as well. 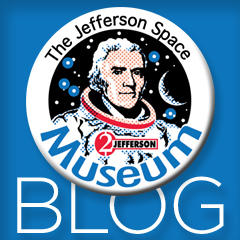 Visit the mission flown $2 bill of Commander Gene Cernan in the gallery section of the Jefferson Space Museum. Earthrise over the lunar surface on December 10, 1972, as seen from the lunar module Challenger. The flown $2 in the Jefferson Space Museum is stowed away in Gene's PPK in the lunar module, and will descend to the lunar surface the next day. The Apollo 17 landing site in the valley of Taurus Littrow as photographed on December 10, 1972, from the command module America.